While we’ve made considerable efforts to ratchet up security at airports and seaports, it’s crystal clear that the security at VIA Rail is beyond .. VIA Rail is an important provider of infrastructure for passenger services in Canada – especially in the Montreal‑Ottawa‑Toronto corridor. But VIA will be facing some serious challenges over the next few years. It has an aging fleet that will require renewal. It has time and again made requests for designated tracks that have been refused. Above all, security issues are a growing concern today and, according to many experts, VIA Rail’s security is astonishingly porous. As a former member of the board of VIA Rail, I’ve seen over the years the neglect by successive governments of this very important issue. 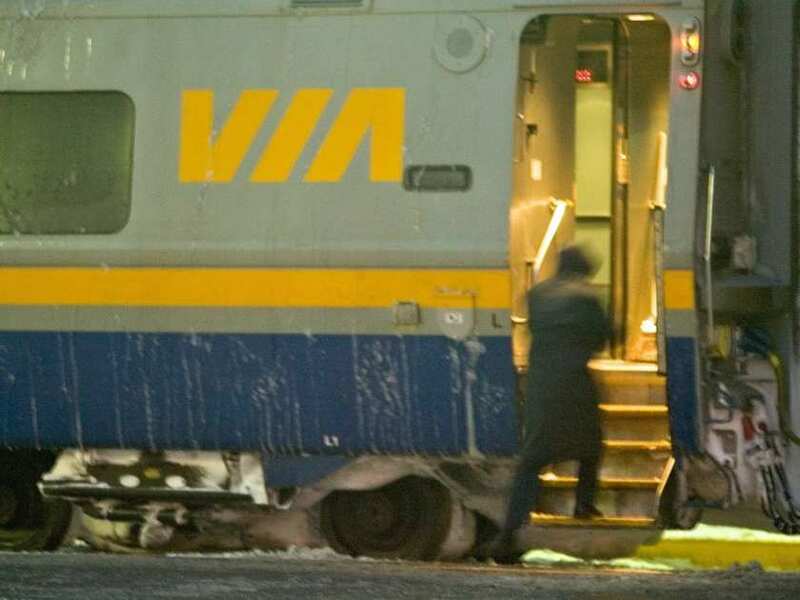 Last year, two terrorists were convicted for planning to derail a VIA Rail train travelling from New York to Toronto. They were only caught thanks to a tip-off from the FBI. In March, a perceived threat in Montreal led to VIA calling in extra RCMP officers and a few sniffer dogs. While we’ve made considerable efforts to ratchet up security at airports and seaports, it’s crystal clear that the security at VIA Rail is beyond poor. In contrast, the United States passenger rail service Amtrak spends more than $80 million a year on security. Americans also have Department of Homeland Security contribution budgets. They have national transportation agency budgets. They have better terror and security systems used in conjunction to track down risks and threats. VIA doesn’t have nearly that capacity or support; its total security budget is in the hundreds of thousands. That’s clearly insufficient. But the opportunity to fix this is right before us. The government is currently in discussions with VIA Rail about improving its operations. Risk assessment is a crucial first step. We have to know what are the focal points of our rail system. These focal points are where an attack would do the most damage to human life. On top of that, an improved analysis would also show where security is most lax. Lone-wolf terrorists more often than not will do what is easy, not what is most harmful. With improved information – and with increased coordination with national security organizations – a measured and reasonable increase in security will be more effective than the brief shows of force we have seen before. Other improved practices would include enhanced background checks on employees and contractors. Random screenings also provide spontaneity to security that is both effective and a powerful detractor for potential wrongdoers. Moreover, they’re a way of avoiding profiling – which would breach Canadian values and individuals’ rights. Every day, Canadians ride the rail in comfort and peace of mind. We must work to maintain this. While few people find increased security pleasant, a successful attack would irreparably damage the tranquility we hold so dear. We cannot afford to have this risk to the country and to our communities passed over any longer. Sen. Leo Housakos served as Senate Speaker; he is the Chair of the Senate Committee on Internal Economy, Budgets and Administration, and represents the division of Wellington in Quebec.